Although the Internal Revenue Service (IRS) works hard to ensure that it screens for potentially fraudulent tax returns as well as issue refunds to genuine taxpayers all-in-one go, ensuring that the two operations run simultaneously and effectively has proven to be more than just challenging. In numerous occasions, the return files faultily flagged as potentially fraudulent' have been excessive. As a result, thousands of legitimate taxpayers have to wait longer for their tax refunds to be processed. According to a the 2015 annual report by Nina E. Olson, the National Taxpayer Advocate, the delays are caused by the high rate of false positives generated by the tax fraud filter that the IRS uses to process tax returns. The income wage verification program allows the IRS to withhold refund for any taxpayer whose file has been flagged as potentially fraudulent by the IRS fraud theft filters. Although this is a key step in averting potential identity theft, the high number of false positives means hundreds of thousands of honest taxpayers do not receive their tax refunds on schedule. Just How Bad Are The Delays? In 2014, it was reported that around 180,000 legitimate taxpayers whose returns were misleadingly flagged under the IRS' fraud detection system had to wait for 18 weeks, on average, before they could finally cash out their tax refunds. This only got worse in 2015 when the IRS started using an electronic detection system to process tax returns. Not only did the false positives increase by a notable 16.4% but the introduction of the Return Review Program also increased inaccurate refund holds by an astounding 500%. This was especially reflected by the number of taxpayers who contacted the Taxpayer Advocate Service asking for assistance in resolving their refund holds, which rose by 15% to the current 36.5%. Although contacting an Advocate helped, most of these taxpayers had to wait for an extra 8 weeks, or more, for their wrongly withheld funds to be released. Although we acknowledge that any tax identity theft screening method will always generate false positives, the current false positives are unjustifiably high and the IRS has a long way to go before they can achieve efficiency. Have The Efforts By IRS To Curb Tax Related Identity Theft Paid Off? Even with the improved identity theft screening methods, tax-related identity theft remains an emergent problem in the United States. It is thus advisable that the taxpayers do whatever they can to lower their chances of falling victims. Molly Petersen, from the Montana Department of Revenue, advises taxpayers to file their tax returns early to avoid the likelihood that an identity thief will not beat them to it. What Do You Do When You Fall A Victim Of Tax Related Identity Theft? 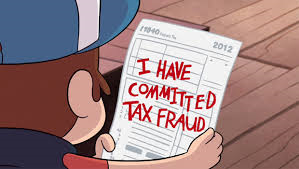 Unfortunately, some tax payers still fall victims of tax related identity theft. If you have been a victim, credit repair is a good place to start. Identity theft may have resulted to the loss of your previously good credit score, which can be daunting. Other than the dreadful experience of being victimized, another problem that you may have to face is potential of denied credit or very high interest rates when and if you do get credit. Despite these and many other similar unfortunate circumstances that you may find yourself in, credit repair could be very beneficial. The Federal Trade Commission outlines the steps that you need to follow to repair your credit. You may decide to go through the process alone or you may contact a credit repair company to assist you, the best part is that most of them will do it for free! For others, you may have to cover some expenses. Either way, it might be relieving to know that you do not have to be penalized for being a victim of a crime.